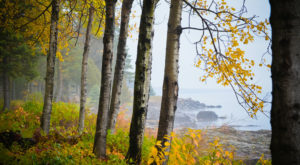 As one of Minnesota's most popular places all year round, the North Shore is a no-brainer when you're looking to do some leaf peeping. 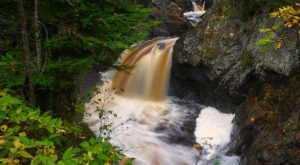 Its many state parks and overlooks are beautiful for the entire expanse from Duluth to Grand Portage, with many cute towns and roadside restaurants along the way. Lake Superior's choppy waters look especially beautiful in the fall. It's so pretty that just driving Highway 61 north would be a treat without stopping anywhere. Address: Highway 61 from Duluth to Grand Portage. 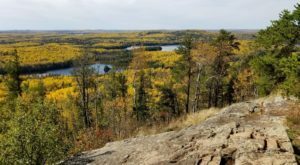 It should come as no surprise that northern Minnesota, with its thick forests, is one of the prettiest places to go every fall. 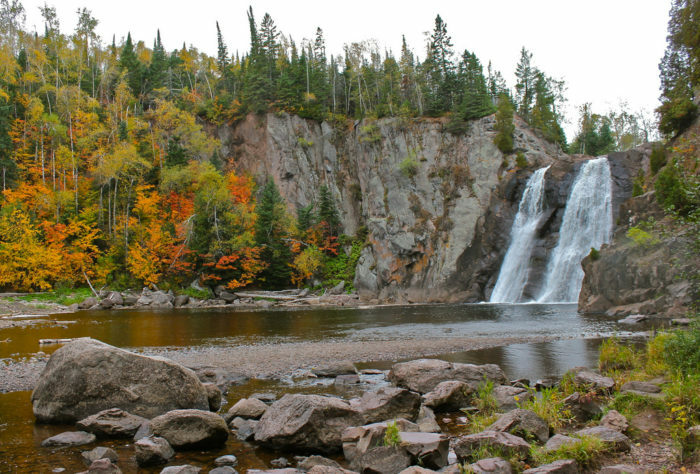 Much of it centers on Superior National Forest, a 3.9 million-acre expanse of trees and water. 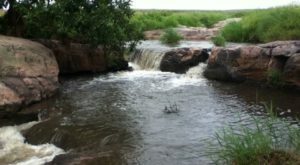 It holds many different types of trees, untouched lakes and streams, and plenty of wildlife. If you're looking to see some changing leaves, look no further. Address: Northern Minnesota. You don't have to go to a state park or forest to see some fall beauty. 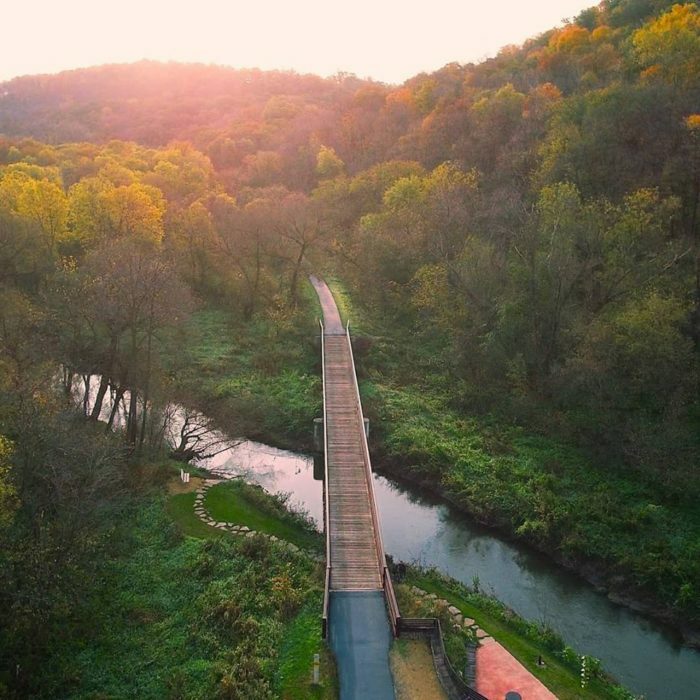 If you're an outdoors enthusiast, you might consider heading to southern Minnesota to ride - or walk - the Cannon Valley Trail. This 20-mile trail runs from Cannon Falls to Red Wing, and it takes you alongside some of the prettiest rural scenery in all of Minnesota. Gorgeous rivers and bridges and fields and forests await anyone who wants to take in a crisp fall day. Address: Cannon Falls or Red Wing. The North Shore is full of gorgeous places to stop the car and take in the scenery. Whether it's a beach, a scenic overlook, or a state park, you're bound to find something pretty just about anywhere you look. 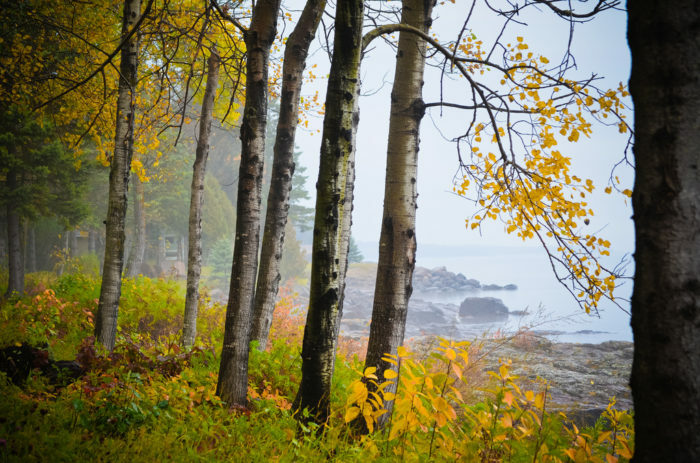 Tettegouche State Park is one of our favorite North Shore parks, especially in the autumn. 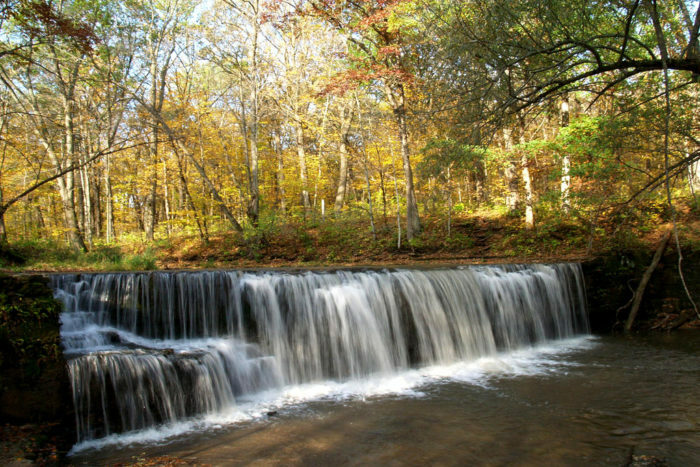 This 3,400-acre park is home to many miles of hiking trails through a forest of changing leaves, as well as a gorgeous waterfall. You don't want to miss it this fall! 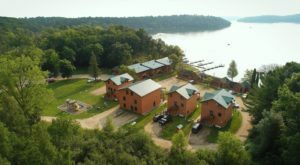 Address: 5702 MN-61, Silver Bay, MN 55614. How about something a little more exhilarating? 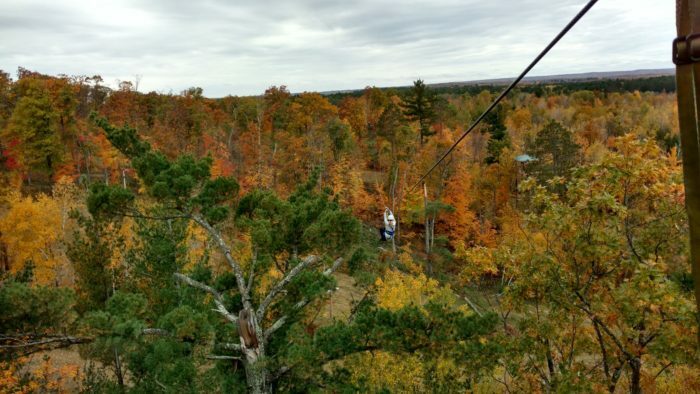 Kerfoot Canopy Tour is a zipline company in Henderson, Minnesota, that is especially pretty when the leaves start to change. Brave visitors zipline high above the Minnesota River Valley. The sight of the changing treetops is a unique view you won't get anywhere else. 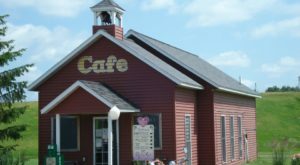 Address: 30200 Scenic Byway Rd., Henderson, MN 56044. Here's another southern Minnesota spot that is full of beauty. 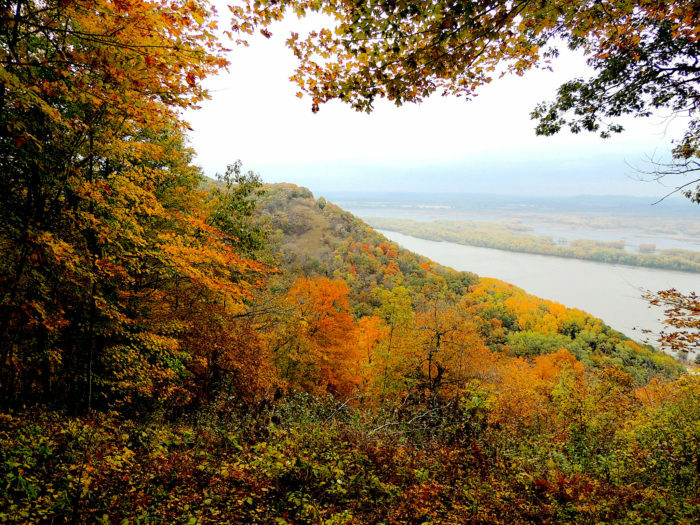 Located in Winona, its 3,000 acres preserve the stunningly beautiful bluffs that rise alongside the Mississippi River. In the fall, when the leaves turn blazing orange, yellow, and red, it is truly a sight to behold. Address: 43605 Kipp Dr., Winona, MN 55987. 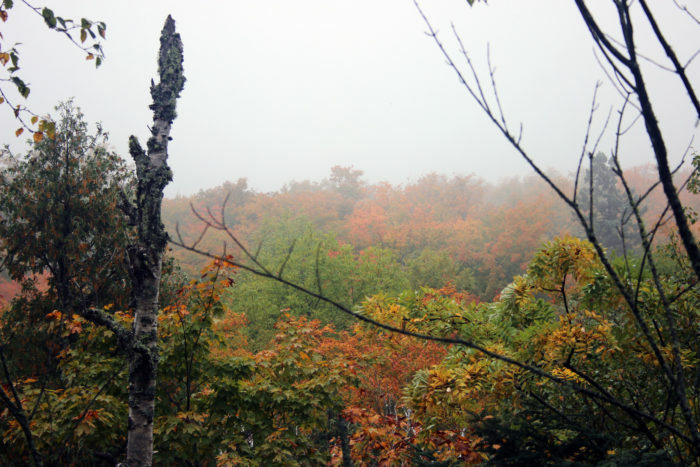 Minnesota's highest point is absolutely gorgeous in the fall. At 2,301 feet above sea level - and more than 1,000 feet above the nearby Lake Superior - it offers breathtaking views of the surrounding area. Access to the summit is a relatively easy hike, about 7 miles round trip. 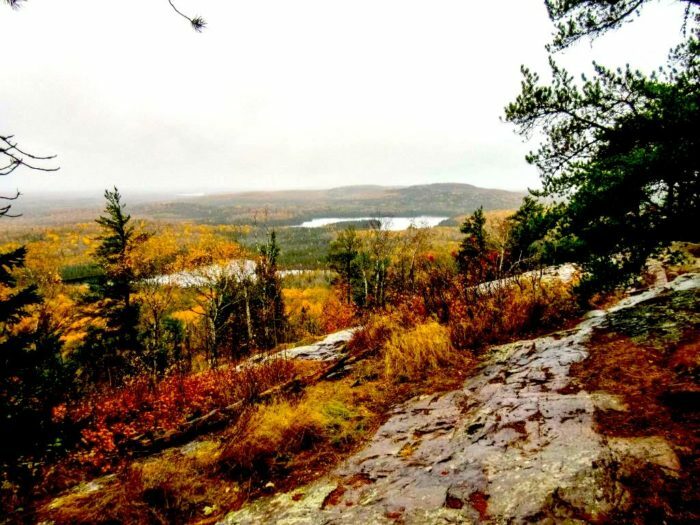 In addition to colorful leaves, the hike also offers views of beautiful northern lakes. Address: Cook County, Minnesota. If you live in the Twin Cities, you don't have to venture far to see fall colors. At Eloise Butler Wildflower Garden and Bird Sanctuary, the spectacular beauty of the park transforms in the fall into something even more gorgeous. Lovely paths and trails lead alongside vivid trees and fields, and you may even catch a glimpse of native wildlife. Address: 1 Theodore Wirth Pkwy., Minneapolis, MN 55405. Central Minnesota is not without its fall colors. 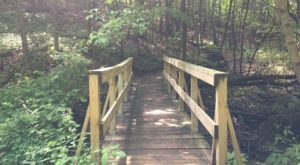 One of the best spots to see it is at Quarry Park and Nature Preserve in Waite Park. Many miles of trails wind through the park. 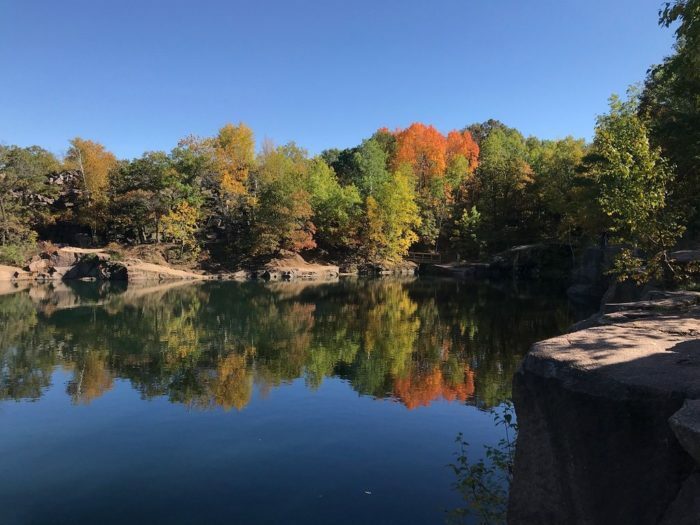 The forests, quarries, and cliffs make for a beautiful sight all year, but especially in the fall. Address: 1802 Co. Rd. 137, Waite Park, MN 56387. 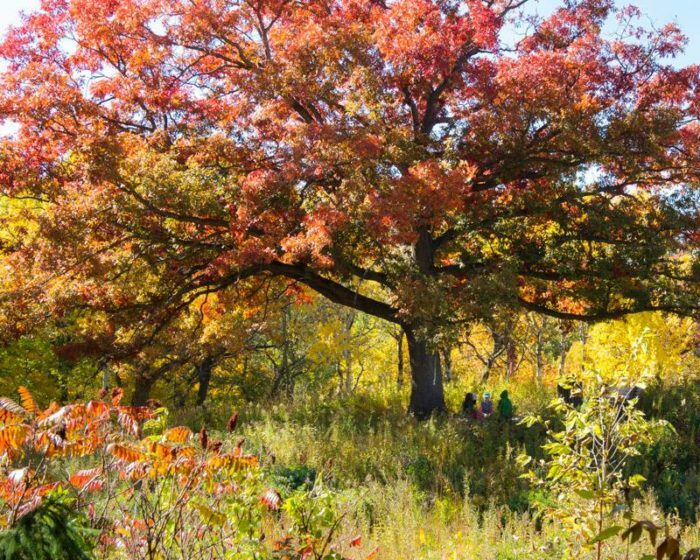 This lesser known state park in southern Minnesota is a gorgeous way to enjoy the fall colors. As you take a quiet walk along the trails, you'll be surrounded on all sides by a mixed forest ablaze with vivid colors. The view gets even better when you reach the lovely Hidden Falls. This little-known waterfall provides a stunning oasis for anyone looking for a quiet moment this fall. Address: 9700 170th St E, Nerstrand, MN 55053. 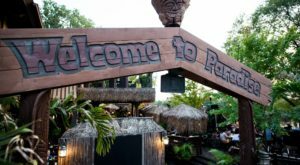 Have you been to any of these spots? Where are your favorite places to see the changing leaves in Minnesota? Let us know in the comments below!